Making an appearance on Nails Talk today is an indie brand that's new to Nails Talk but not to me. Glam Polish is an Australian indie brand which I was introduced to last year and I love her glitter and holographic polishes. I've tried a couple of her glitter polishes and they are simply amazing. 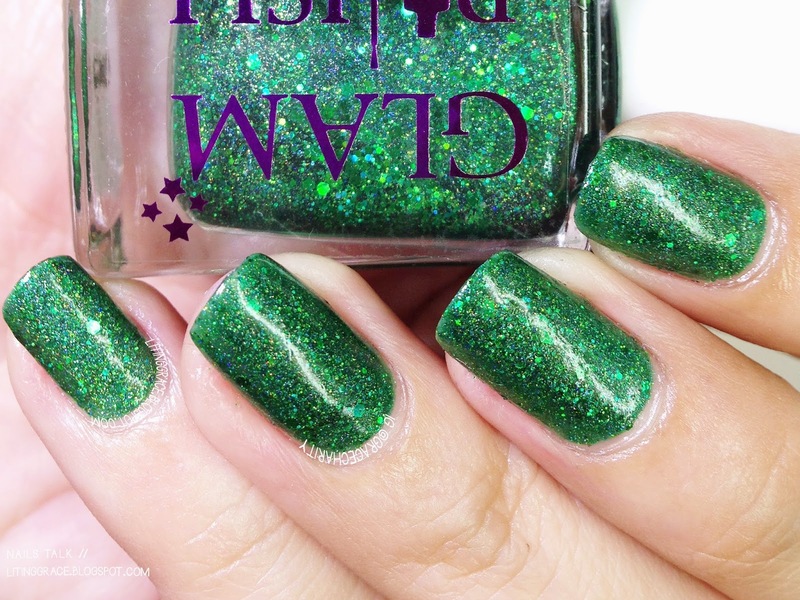 Today, I have two polishes from last year's Halloween's collection, Cast A Spell to share. Can't believe I had them for so long but only got down to trying them out only now. First up, Conjuring. It's described as a dark forest green by the creator, but mine leans towards and emerald green. It's a scattered holographic polish packed with holographic glitter and green hexes. I rarely wear green but I like this so much that I wore it for a few days straight. 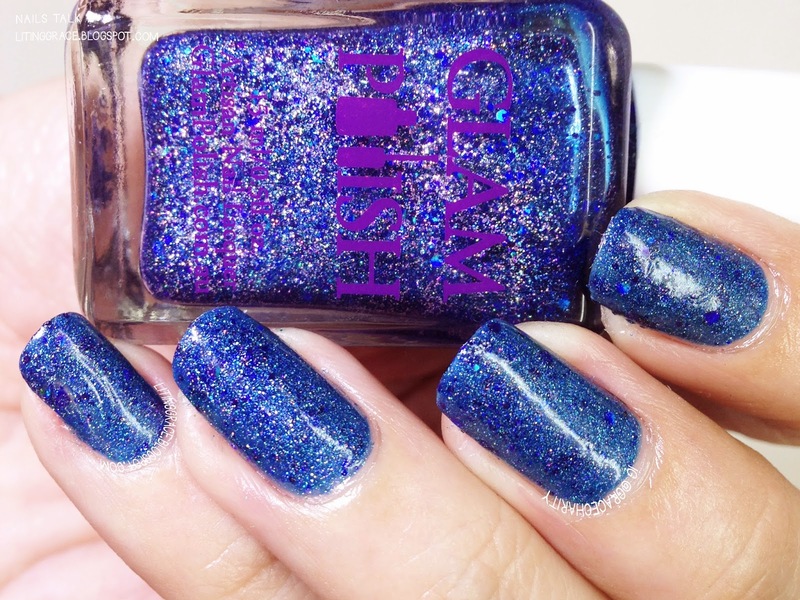 Coming right up, we have Book of Shadows, a dark blue scattered holographic polish with a dash of blue glitters. 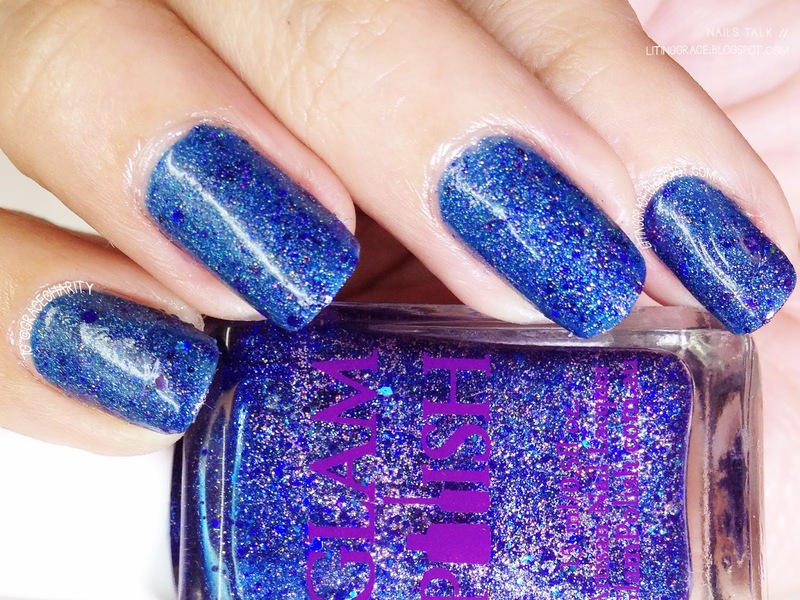 This is one stunning blue beauty, which is clearly my favourite cause I wore it for a week! It's hard not to love this especially when I'm a lover of blue polishes. Formula of these two polishes were great, and application was smooth despite both came packed with glitters. What I love about Glam Polish is the consistency of the formula of her polishes. So far, I have not any problems or complaints about her polishes which is a bonus point when it comes to buying indie polishes. I painted two layers each for both polishes to reach opacity and ended with a thick coat of top coat to give them a smooth and glossy finish. One thing to note is that due to the huge amount of glitters in the polishes, they may dry to a textured finish, so you may skip the top coat if you prefer that. 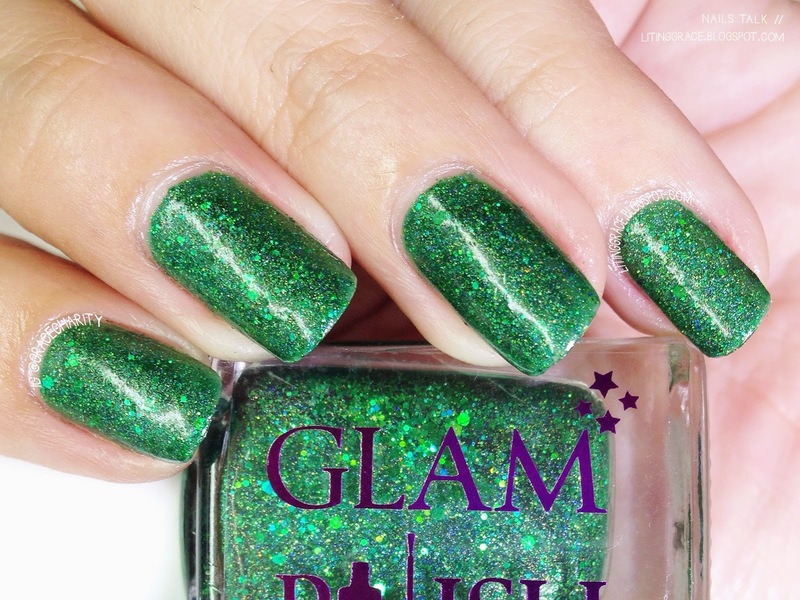 Glam Polish is available here and also at Mei Mei's Signatures. Don't forget to follow them at their respective Facebook pages and Instagram accounts for the latest information on new collections and launch dates. That's all for today and I will be back soon with more updates on Nails Talks and also my trip in Brazil.